Birth of St. Peter Canisius, the first German Jesuit. Sometimes called the “Second Apostle of Germany” (St. Boniface is the first), he was the first German to enter the Jesuit order and founded numerous Jesuit centers in Germany. Death of Friedrich Holstein in Berlin, Germany. Holstein was a member of the Prussian diplomatic service who was stationed in the United States from 1865-1867. After the departure of Otto von Bismarck he became the most influential voice on foreign policy during the reign of Wilhelm II. He never held the position of foreign minister, but for a time had the real influence in that area. 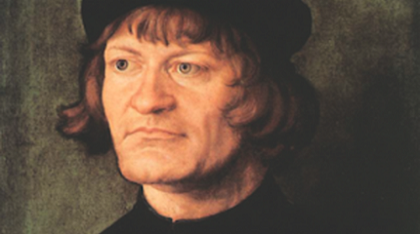 He thus earned the nickname, “Die graue Eminenz”. Holstein had been a friend of Bismarck’s since childhood and it was Bismarck who brought him into the Prussian diplomatic service in 1860. 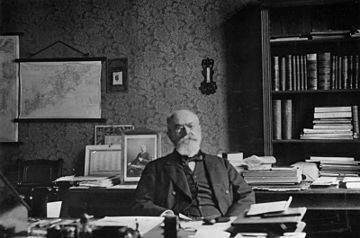 After Bismarck’s departure Holstein found himself at first more influential that the foreign minister but gradually he became more and more at odds with the impulsive policies of the emperor and finally was dismissed in 1906. Death of Bl. Ulrika Franziska Nisch (1882-1913) Ulrika Franziska Nisch was born in 1882 in the village of Mittelbiberach-Oberndorf in the state of Württemberg, Germany. 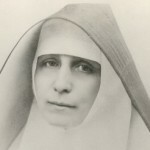 She was admitted to the Sisters of the Cross order in 1904. She worked in the kitchen of the order. She reported numerous visions of angels and saints. She was beatified in 1987 by Pope John-Paul II. Death of Victor Mordechai Goldschmidt (1853-1933) in Mainz, Germany. 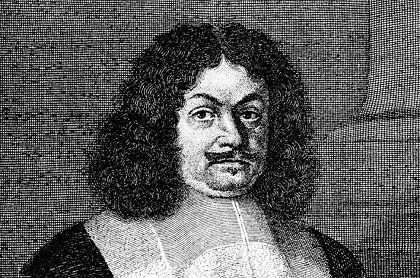 Goldschmidt was a mineralogist specializing in crystallography. 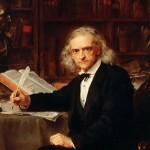 He indexed and cataloged all known crystals and established tables of crystal angles. 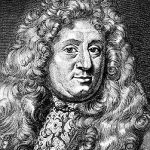 From the number series in crystal symbols he developed a theory of number and harmony which subsequently was applied in several fields of study. 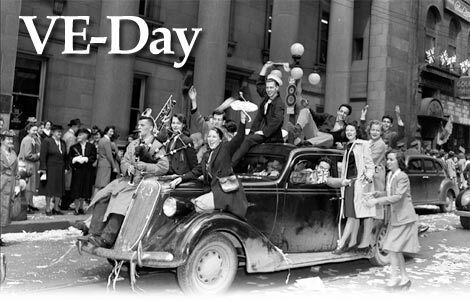 Victory in Europe Day—known as V-E Day or VE Day—was the public holiday celebrated on May 8, 1945 (in Commonwealth countries, May 7, 1945) to mark the date when the World War II Allies formally accepted the unconditional surrender of the armed forces of Nazi Germany and the end of Adolf Hitler’s Third Reich, thus ending the war in Europe. The formal surrender of the occupying German forces in the Channel Islands was not until May 9, 1945. On April 30 Hitler committed suicide during the Battle of Berlin, and so the surrender of Germany was authorized by his successor, President of Germany Karl Dönitz. The administration headed by Dönitz was known as the Flensburg government. The act of military surrender was signed on May 7 in Reims, France, and on May 8 in Berlin, Germany. Work is completed on the new German “Basic Law”. 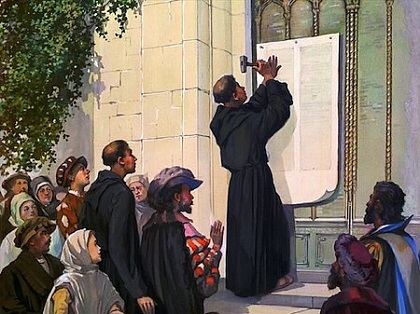 That body of law, with amendments, remains the German constitution. Death of Rudolf Serkin in Guilford, VT (born in Eger, Austria-Hungary (now in the Czech Republic)). Serkin was a pianist who gave his first performance with the Vienna Symphony Orchestra at age 12. 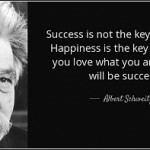 After developing a reputation in Europe, he moved to the United States in 1939 and taught and performed successfully as an American. He was one of the founders of the Marlboro Festival in Vermont. His son, Peter, followed him as a concert pianist. 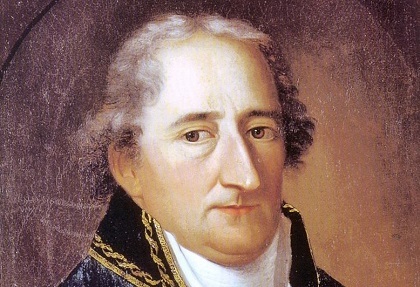 The first Goethe Institute in Eastern Germany is opened in Weimar. German President, Roman Herzog, receives the Karlspreiz (Charlemagne prize) in Aachen, Germany.